Master blacksmith Bernard Tappel heats stel at his forge near Osage Bend, Missouri. Tappel participates in the Traditional Arts Apprenticeship Program and is featured in this week's Thinking Out Loud. Working at his trip hammer, Bernard Tappel flattens steel before returning it to the forge..
Doug Knight at left is an apprentice to master blacksmith Bernard Tappel in the Missouri Folk Arts Program's Traditional Arts Apprentice Program. He is working to be a master blacksmith himself. Tappel makes fishing gigs, tomahawks and colonial smoking accessories seen here. The Missouri Folk Arts Program is based out of the MU Museum of Art and Archeology. The program is funded by the Missouri Arts Council and the National Endowment for he Arts. Founded in 1984, the program's goal is to "build cross-cultural understanding by documenting, conserving and presenting [Missouri's] living folk arts and folklife in collaboration with Missouri's citizens," according to its mission statement. We spoke with Deborah Bailey, the folk arts specialist of the Columbia-based non-profit, who said the program is designed to continue traditional folk arts that have the potential to get lost overtime. One way the Missouri Folk Arts Program works to preserve these folk arts is through a master-apprentice program, the Traditional Arts Apprenticeship Program, or TAAP. TAAP pairs master artists with apprentices who have a desire to learn one of the traditional arts. Bailey explained how TAAP continues the lives of these folk arts. The ultimate goal of the program is that those apprentices will stay active afterwards, and most of them do, and then further transmit these traditions to a new generation. In the past 30 years, the program has fostered nearly 370 apprenticeships between master-apprentice relationships in arts such as blacksmithing, saddle making, cowboy poetry, old-time fiddle, African American storytelling, square dancing, jig dancing, Sean-nòs (traditional Irish singing), “Walking Cane” dulcimer, Johnboat building and paddle carving, wood joinery, button-box accordion, and klopplei (German bobbin lace). We traveled to Osage River to meet with master blacksmith Bernard Tappel and his apprentice Doug Knight. Bernard Tappel at the forge working on his master blacksmith skills. Tappel uses a forge, an enclosure where coal can be heated to thousands of degrees, for his blacksmithing. The intense heat from the forge is what makes raw steel briefly pliable, allowing the blacksmith to create their work of art, whether that be a horseshoe, a knife or any other shape of the blacksmith's choosing. Tappel focuses on making small, decorative items, such as pot racks that you might find in your kitchen, or even tomahawks. He and Knight met at a beginning blacksmith class Tappel was teaching. But Knight wasn't satisfied with that one class. He wanted more experience, more opportunities to get his hands dirty and experienced in blacksmithing. So he approached Tappel to continue learning the trade. Tappel approached Bailey, and from there Knight was awarded the apprenticeship. But as we mentioned earlier, there are many more trades than blacksmithing in the arts program's repertoire. One of those is a group of South Sudanese immigrants, the Kuku. They settled in Kansas City, Mo., after warfare drove them from their homeland in East Africa, but are now able to continue a connection to their culture, as well as share it with Missourians because of funding from the Missouri Folk Arts Program. 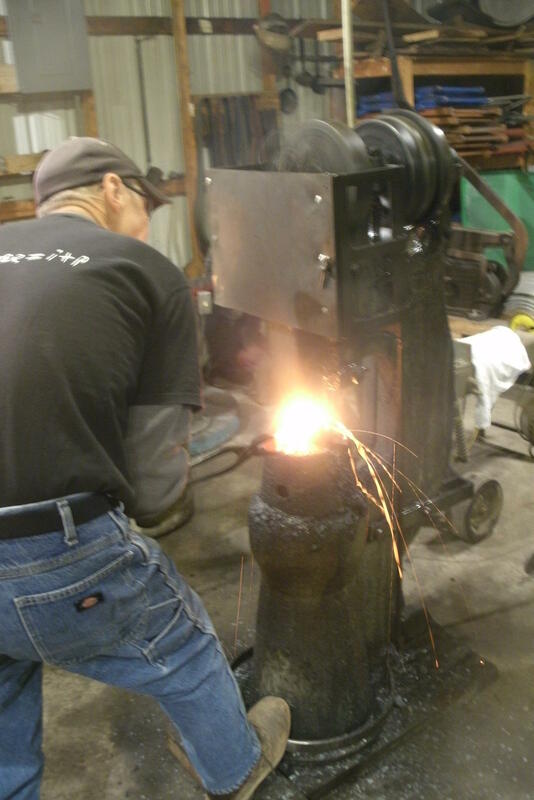 The program is hosting an event in Jefferson City, Mo., on Saturday April 25, 2015, from 2 p.m. to 5 p.m. A group of blacksmiths, including Tappel, will be holding a live demonstration at the Jefferson Landing State Historic Site.